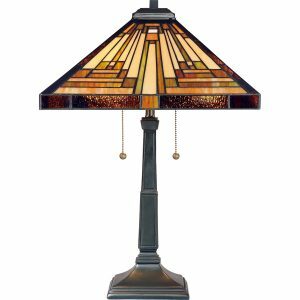 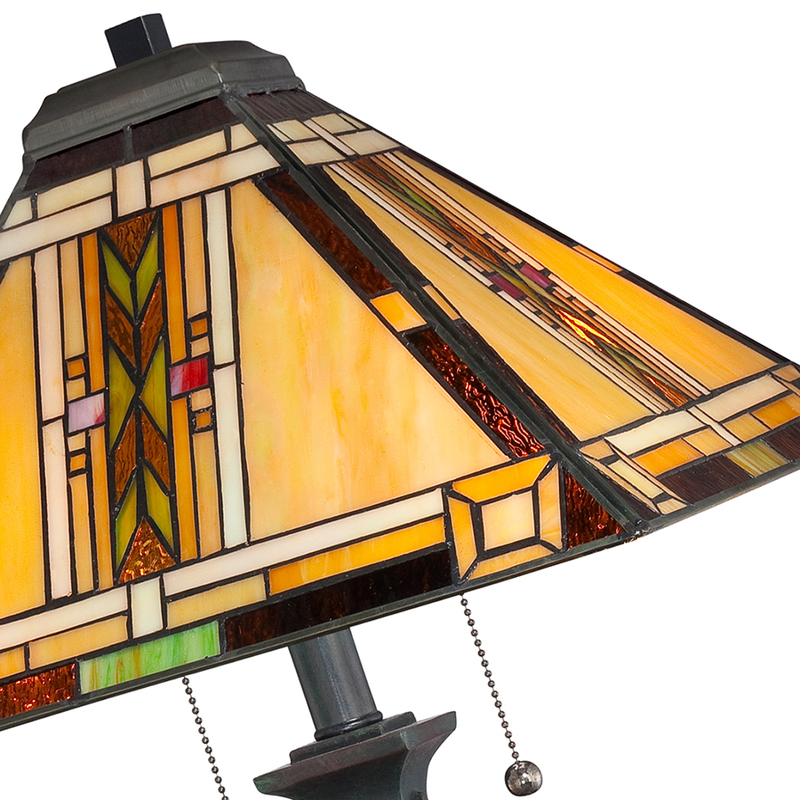 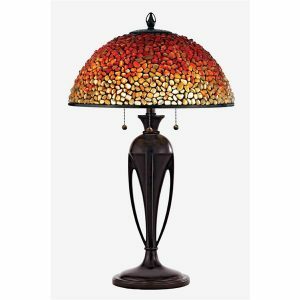 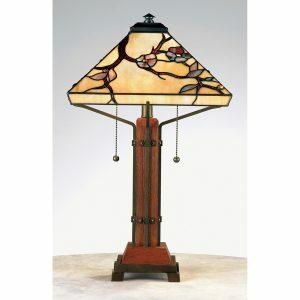 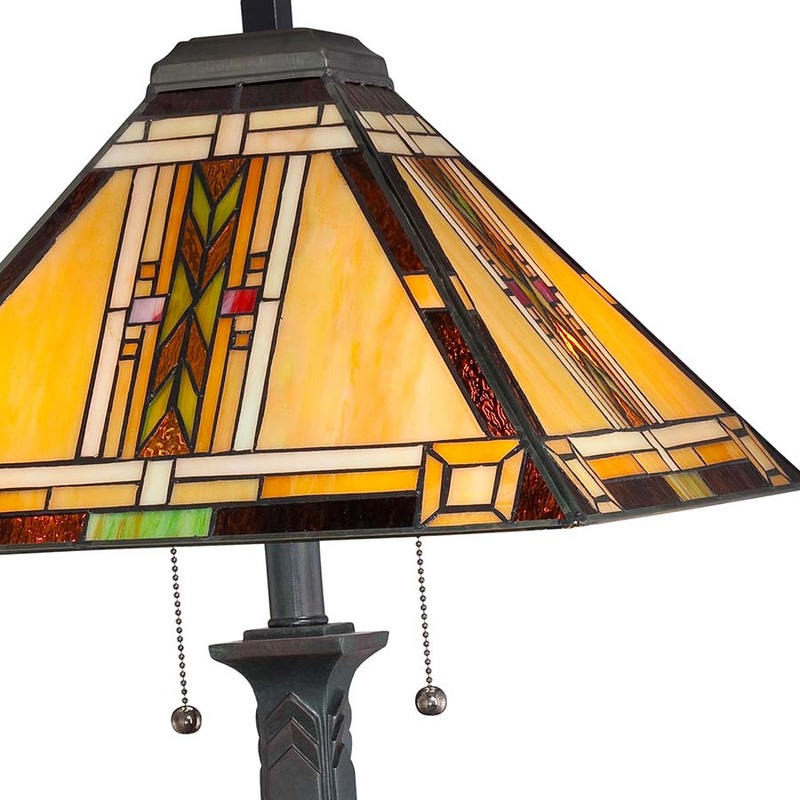 Fans of Native American style and Southwestern art will love the Navajo Tiffany lamp with its strong colors of red, yellow, amber, and green and simple geometric patterns in a feather motif. 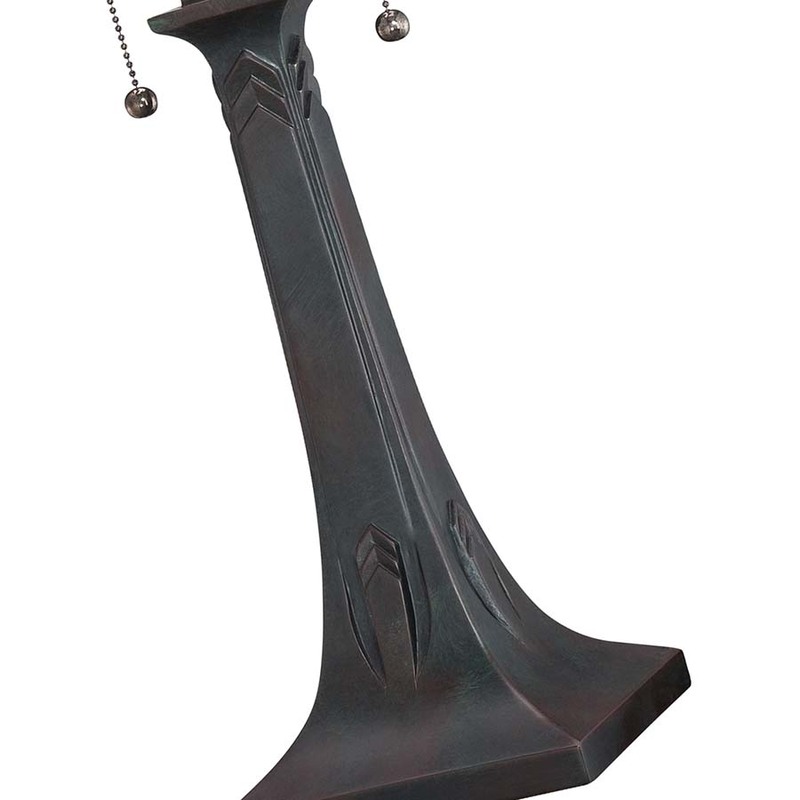 The bronze base repeats the feather motif. 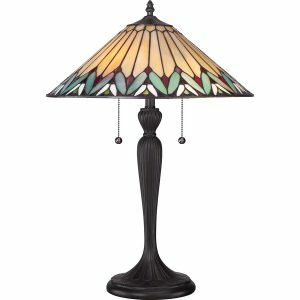 What is the definition of Navaho style? 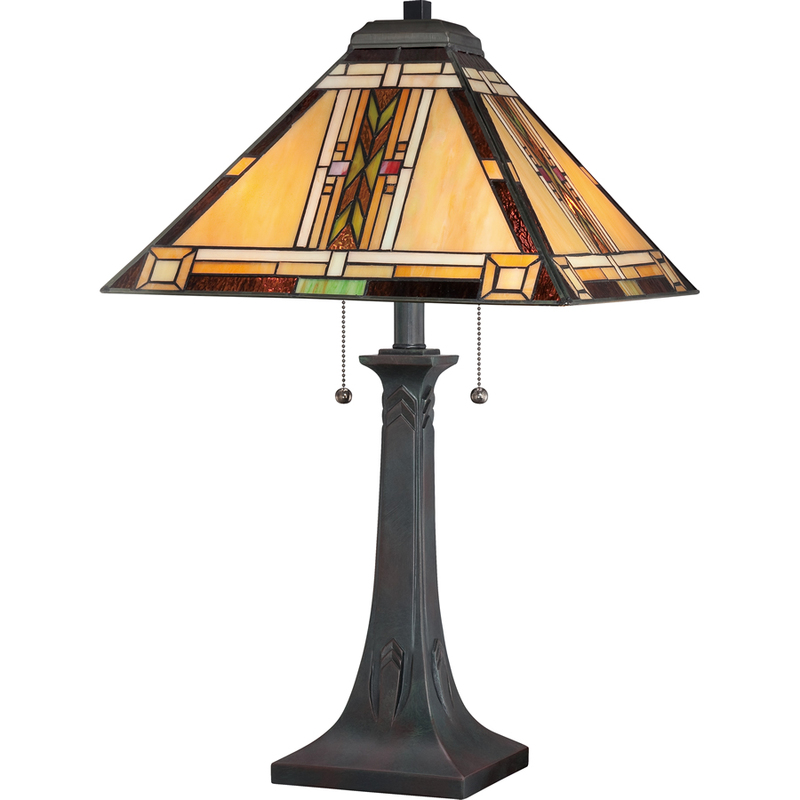 Traditional Navajo art incorporates geometric patterns and primary colors such as red, yellow, amber, and green. 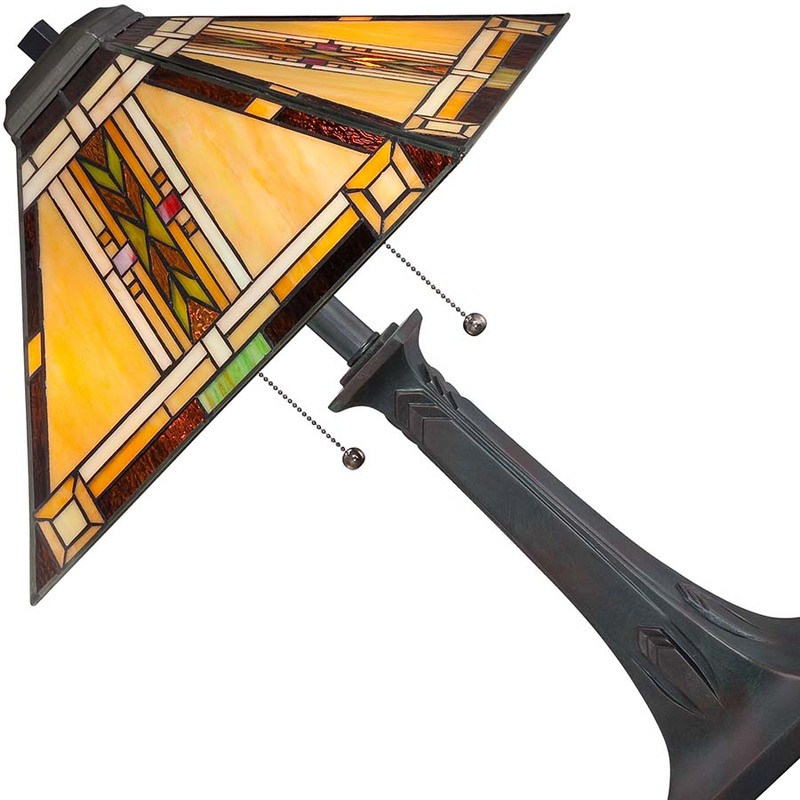 Parallel lines may represent the feather motif.